JoAn Monplaisir served as a health education Peace Corps Volunteer in Kasama, Zambia. Through her work, she developed a passion for collaborating with women in the community to help foster a sense of strength, resilience, and empowerment. She has a Master’s in Clinical Social Work and currently resides in Maryland working as a hospice social worker. 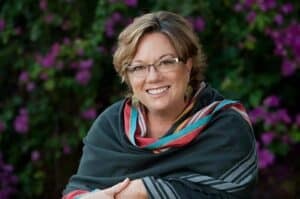 JoAn is also the founder of Luna Doula and serves as a birth and postpartum doula who supports families through the birth, delivery, and care of their babies. JoAn is honored to join the Board and to contribute to the inspiring work Bakashana is doing with the future leading women of this world. Barbara worked for two years on health initiatives in Northern Zambia and stayed in Zambia an additional 18 months working with funding from the President’s Malaria Initiative (PMI) to “Stomp Out Malaria” in all of Zambia’s provinces. Her experience in working in rural Northern Zambia with health and education campaigns makes her an invaluable advisor and board member for Bakashana. She lived from 2011-2103 in Mpika district near Kasama and has now returned to the US, where she works with the Peace Corps as a recruiter. Barbara has developed a close personal relationship with all of the young women on scholarship and serves as an important moral and emotional support for them. Sue serves as program advisor as well as a member of the board of directors. 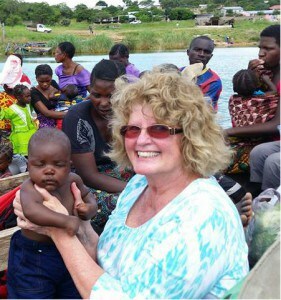 Sue has six years of experience working with women’s education in sub-Saharan Africa. Starting with her work directing HIV programs in Tanzania in 2006, her interest in education in Africa, especially that of educating young women has been a passion she has actively pursued while working as well as a Principal for three different schools in her home in Hawaii. She now owns a consulting firm based in Hawaii which champions the charter school movement and works with policy-makers, administrators, parents and teachers to improve the quality of schools throughout the US. Sue has extensive experience in program design, curriculum development, training and fundraising, and holds a Masters Degree in Education. Bill Albrecht, father, scientist, and raconteur, learned of the rampant gender disparity and associated socio-cultural discrimination against girls during his visit to Zambia in June 2009. Conversations with his daughter Claire and visits to nearby schools, led to conferring with the local chief and various village elders regarding education and opportunities for young women. This visit provided impetus to modify the reality of others for good, simply because it could be done. With the tacit engagement of Christopher, Claire, and other committed persons, Bakashana was set in motion. Bill has since become a vital part of the financial and administrative team, and a valuable advisor on our Board of Directors. 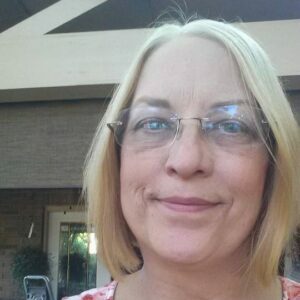 Cindy is a retired Operating Room RN residing in San Antonio, TX with her husband, Ed, and 3 big dogs. She is a graduate of Stephen F. Austin Univ. with a BS in Nursing and a minor in music. She is a US Navy veteran and was a Corpsman and surgical tech. Daughter, Jenna Metz, is a RPCV from the northern province of Zambia and a visit with her in 2012 was the inspiration for involvement with Bakashana. Cindy enjoys sharing her knowledge from science, to the arts , and more. Sherry has been a dynamic and successful leader in marketing, business strategy, merger/acquisitions and customer negotiations for the energy and education industries. She held top management positions within two major energy companies – Constellation Energy and Rochester Gas and Electric. Her commitment to community service includes Lioness Club of Central Square, NY, former President for the Board of Directors for YWCA of Monroe County and Chairperson for Monroe County Airport Authority. Sherry was the 1984 recipient for the Presidential Volunteer Award from President Ronald Regan for her community work with youth and the Alzeheimers Association. Recently retired, Sherry currently serves on the Board of Directors for HB Smith Company and is a member of Sweet Adelines International. She holds a BS in Education and a Master’s in Business Administration. Nicole worked as an education volunteer with Peace Corps Zambia for two years, in a rural village 85 km west of Kasama. Her main projects involved establishing a family planning supply chain and educational outreach, and increasing access to early education for orphans and vulnerable children. 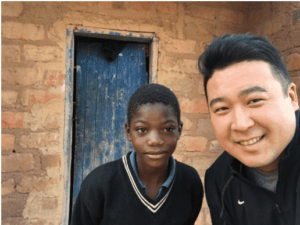 She also spent two years in neighboring Malawi, where she worked as the field manager of a Swiss non-profit organization which improves educational and health outcomes in rural youth. In this position, Nicole was integral to the development of a sponsorship program for secondary school students. She’s previously written grants for both Bakashana and the Department of OBGYN at SUNY Upstate University Hospital. Nicole has a Master’s in Child and Family Health in the Global Community, and a B.A. in Anthropology. She currently resides in upstate New York with her husband and Zambian-born dog. Kathryn served as a Peace Corps Volunteer in Northern Zambia from 2014-2016 working on health projects in her host community. During her service she led Girls Leading Our World (GLOW) clubs as well as a GLOW camp. Kathryn grew up in Portland, Oregon and then moved to Wisconsin for undergrad. There she majored in biology, history, and chemistry with an interdisciplinary concentration in International Studies. Then she received a Master’s Degree in Public Health with a focus on Health Behavior. This academic background gives her a solid foundation for understanding NGO style communication materials, research methods, and behavior change theory. More importantly, she has recent, on the ground experience in Zambia that gives her a perspective on how logistics there work, realistic expectations, and handy problem solving skills. Katheryn looks forward to learning more about the US logistical side of the project and contributing to this excellent organization however she can. Siena Swift is in Secondary School at Le Jardin Academy in Kailua, Hawaii, USA. Siena is passionate about women’s rights and the guarantee for all girls to have access to education, equal rights, safe health care, and a safe place to live. Siena has enjoyed working more closely with Bakashana, learning about writing grants and offering a young voice to the Board of Directors. Siena is an aspiring author and politician who hopes to change the world and the way we think about women and gender norms. She works with Amnesty International at her school as well as participating in yearbook and a creative writing club. Siena loves to read the New York Times and stay up to date on politics. Cathy is currently enjoying being a wife, mother and grandmother. She retired from church resourcing that took her to the states of Michigan, Ohio, Kentucky and Indiana. Her work has been with nonprofit groups for over 25 years, including development work for a coalition of camps. Bakashana is a perfect match for her passion for assisting others and peace and justice issues. 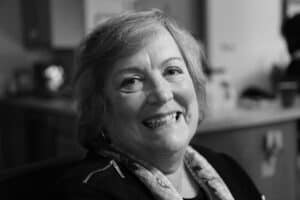 Currently Cathy is volunteering for a food pantry and a children’s ministry program at her church, Cathy and her husband of 49 years love to travel and have had the privilege of recentlyv visiting Ireland, France, and Hawaii. Cathy says “I am so very proud of Claire and Justin and their work and I am happy to be a part of that.